Find out how to boil pasta, whether or not to add salt and how to know when pasta is done. 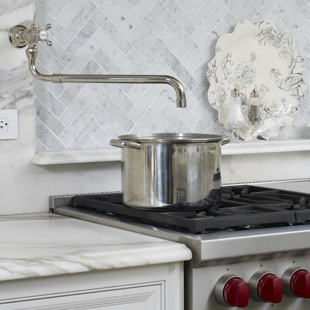 It’s tempting to skimp on the water when you’re boiling pasta. You know, you’re in a rush and you think that if you use less water, you will get to your cooked pasta faster. And after all, a regular saucepan of water boils faster than, say, a Dutch oven. But pasta needs more water than you might think to cook perfectly. To cook a half pound of pasta, you’ll need to start with no less than 2 1/2 quarts of water. Why so much? It prevents the pasta from sticking together and allows the starch that gets released in the cooking process a little more room to spread out instead of sticking to the pasta. It’s commonplace to salt your water for pasta, but beware—all that salt doesn’t just stay in the water. Some of it absorbs into your pasta, bumping up the sodium of your dish. 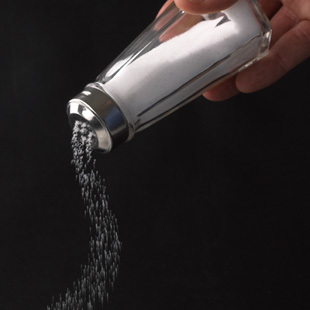 On average we’re consuming over 1,100 mg more sodium than what’s recommended (that number is 2,300 mg per day). And since you’ll most likely be topping your pasta with tomato sauce (which is already notoriously high in sodium) and maybe a tablespoon or two of Parmesan cheese, you may not want the added salt in your pasta itself. Some folks believe the idea that salting water makes it boil faster. It doesn’t—at least not with the amount of salt you would use for cooking. We recommend skipping the salt in your pasta water completely. If your sauce is flavorful, you won’t miss it and you’ll save on sodium. The difference between perfectly cooked pasta and a mushy mess is just a couple of minutes too long in the pot. Most pasta comes with an approximate cooking time printed on the package, but it’s good to try a piece of pasta when you’re getting close to the specified range instead of blindly following the package instructions and ending up with overcooked pasta. What are you looking for? You should cook your pasta “al dente,” which means it should be slightly underdone in the center. It should give you some resistance when you chew, but should not be hard. (If it’s hard, you need to cook it longer). Not only is cooking your pasta al dente a better texture than cooking it longer (when it’s completely soft throughout), but it has a lower glycemic index (the measure of how quickly blood sugar levels rise after eating a food) than pasta that’s cooked longer. 4. Rinse Right After Cooking or Skip? 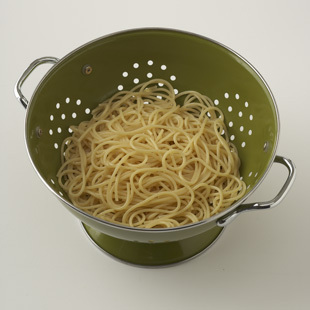 If you are going to use the pasta right away (within a minute or two) you can skip rinsing altogether. But rinsing pasta right after it leaves the pot is a good idea if you don’t plan on serving it right away or you are cooking it with the intention of serving it cold (for a pasta salad, for instance). Not only does rinsing cool it down and stop the cooking process, but it washes some of the loose starch off the pasta itself, which prevents it from sticking together as it cools. From spaghetti to linguine to penne to ziti… there are plenty of pasta shapes out there to choose from and a lot of it comes down to personal preference. 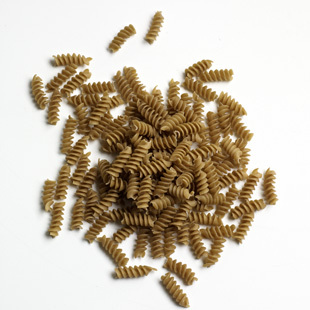 But here’s a simple breakdown of the best shapes for specific recipes: The nooks and crannies of fusilli, for instance, offer a cozy refuge for nuts and pieces of meat and vegetables in a pasta salad or Bolognese sauce. In contrast, smooth tomato sauces, pestos and light cream recipes work best with long thin pastas, such as spaghetti, because they coat the strands evenly. 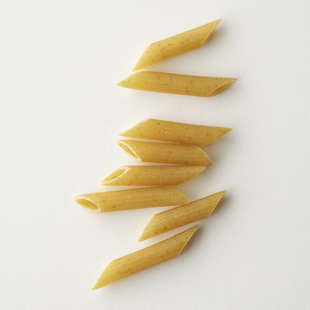 Tubular pasta (like rigatoni and penne) cook up to larger volumes than their nontubular counterparts, which can be an advantage if you’re trying to monitor your serving size. Since they’re filled with air in the middle, the serving size appears larger, which may trick your brain into thinking you are eating more than you actually are. Try these when you’re making richer dishes like baked ziti. If you’re used to eating white pasta, trying pasta made with whole-wheat flour can be an adjustment—but there’s a reason to at least attempt to embrace whole-wheat pasta. It’s got 3 grams more fiber per 2-ounce serving than white pasta, and eating a diet rich in fiber has been linked to the prevention of diabetes, heart disease and cancer. And its nutty flavor can be a welcome addition if you pair it with robust sauces containing meat, nuts, greens and other assertive flavors. Delicate cream sauces are best suited to white pasta. Which is a Healthier Side Dish: Potato Salad or Pasta Salad?